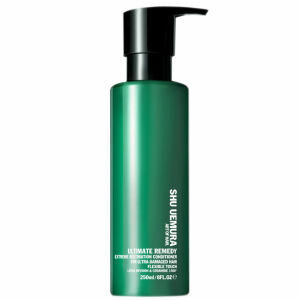 Boasting a unique and effective formula which works to deeply nourish, condition and repair the hair, Shu Uemura Art of Hair Ultimate Remedy Conditioner is a must have for damaged, dry locks. 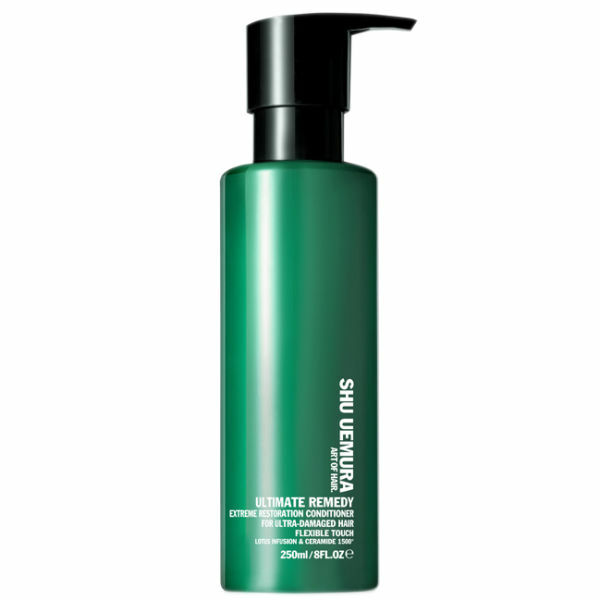 Containing Ceramide 1000 PPM technology and Lotus Infusion, this conditioner keeps the hair soft and supple whilst restoring health to ultra-damaged fibres. K.D. Aqua / Water, Cetearyl Alcohol, Amodimethicone, Glycerin, Cetyl Esters, Cetrimonium Chloride, Dipalmitoylethyl Hydroxyethylmonium, Methosulfate, Trideceth-6, Phenoxyethanol, 2-Oleamido-1,3-Octadecanediol, Caprylic/Capric Triglyceride, Chlorhexidine Digluconate, Alcohol, Citric Acid, Benzyl Alcohol, Benzyl Salicylate, Safflower Glucoside, Linalool, Caramel, Gentiana Lutea Extract / Gentiana Lutea, Root Extract, Nelumbium Speciosum Extract / Nelumbium, Speciosum Flower Extract, Parfum / Fragrance.